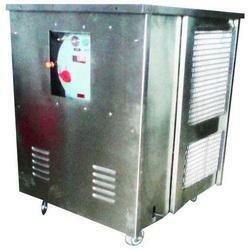 Prominent & Leading Manufacturer from Mumbai, we offer flp dehumidifier. We are leading manufacturer and exporter of FLP Dehumidifier and our product is made up of good quality. Keeping on mind the various requirements of the clients, we are involved in offering best quality of FLP Dehumidifier. This FLP Dehumidifier is widely used as stand alone or in combination with pre-cool or / and post-cool module with process bypass configuration and in many others suitable applications. Moreover, the offered products are available in the market in bulk at most reasonable rates. Looking for FLP Dehumidifier ?